I started my career in administration and was a financial secretary in a primary school for many years. I started New Image in 2001 and so my story and passion began with the beauty industry and me wanting to help with the raising of self-esteem and self-image. I love helping my clients to feel special. New Image Yeovil is a success story and one I am very proud of! Alongside the fact I have survived breast cancer since 1991. In 2012 I decided to train in Semi-permanent Make-up and completed my cosmetic tattooing training with Finishing Touches. Since then I have gained a huge amount of experience by treating hundreds of clients who have become my regulars and revisit annually for their colour refresh. 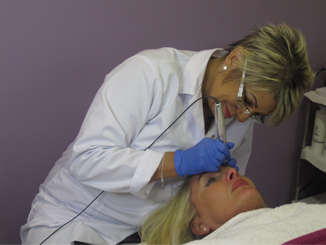 I have continued to progress by undertaking more advanced training with some of the most respected professional trainers in the Permanent Makeup industry.